When you can see each individual zombie this clearly and in detail, know that this is the end of the road. Dont let this opportunity go to waste! Use this same fear against your enemies by wearing the Walking Dead Zombie Horde T-Shirt! 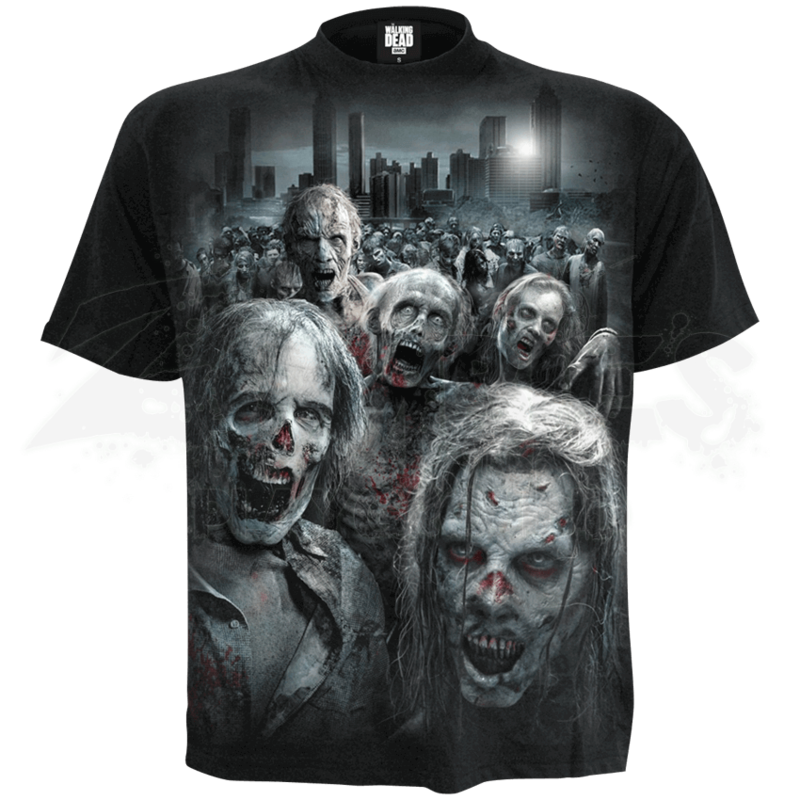 This soft jersey cotton tee hosts Azo-free graphics, giving it a comfortable way to express your inner zombie enthusiast. In honor of the series, the AMC Walking Dead logo over bloody handprints is featured on the back graphic. The front graphic depicts its iconic theme of impending doom by zombie hands with a horde of Walkers. 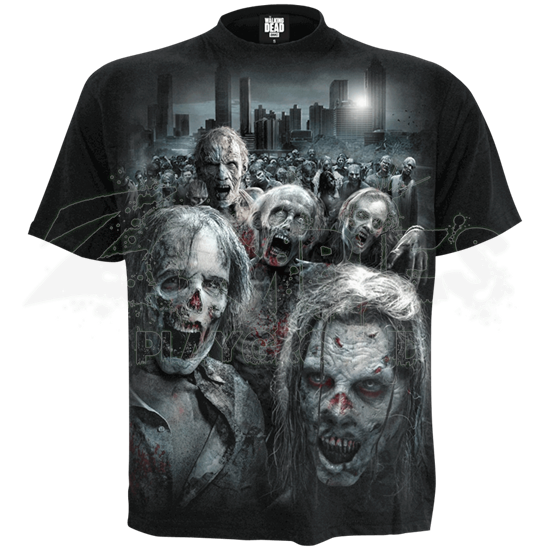 Whether they frighten or excite you, the Walking Dead Zombie Horde T-Shirt is one gothic shirt you do not want to miss out on!